Here are seven ways that choirs can joyfully serve as worship leaders to strengthen and bring life to the ministry of worship. A Choir can help to support congregational singing, allowing the congregation to sing more confidently and join their voices with those who are already singing. In this way, choirs are helping to lead in worship. 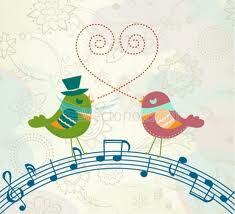 A Choir will help the congregation to know when they are supposed to sing. When arrangements for the congregational singing are lead by a praise band, worship leader, and praise teams, sometimes people in the congregation become uncertain about when they are supposed to sing along. A well prepared choir can help to prevent confusion as they assist in leading the service. Since the choir will know when a verse or chorus is supposed to be sung as a solo and when everyone is supposed to sing, the congregation will begin to take their cue from the choir. As a part of a special Palm Sunday service, the FBC Duluth choir sings, “Hallelujah to the King”, under the direction of Travis L. Boyd. Choirs provide spiritual encouragement and inspiration to the church family. When the life stories and faith journeys of the people who make up the choir are coupled with their faithful commitment to praising the Lord and leading in worship, the choir serves as a collective testimony of walking by faith. The presence and praise of an individual who is walking through a trial and yet chooses to remain faithful as a choral worship leader can be a powerful message in itself. Choir members are often some of the busiest church members, serving in mission opportunities, teaching Bible studies, working with youth, children, or preschoolers, and being vitally involved in church life. This fact allows their ministry and testimony to have personal significance for a greater percentage of the church body. The 280 voice Brooklyn Tabernacle Choir, Brooklyn, NY, under the direction of Carol Cymbala, recorded 2 CDs in 2013, “Redeemed” and “Love Lead the Way”. Church choirs can share messages of praise, reverent worship, testimony, exhortation, encouragement, comfort, thankfulness, and perseverance through the songs (both anthems and congregational worship songs) that they sing. Choral anthems often have lyrics that are full of scripture and of Biblical truth, so the choir can share a message in song that is full of meaning and that can have even more impact than the spoken word because of the marriage of music and lyrics that amplifies the truths being shared. The choir’s ministry is one of proclamation, praise, and encouragement as they and the congregation “speak to one another in Psalms, hymns, and spiritual songs”. As worship leaders, the choir can also help the congregation to learn new songs and worship choruses by preparing them through rehearsal before they are introduced to the congregation. The choir can even help to introduce some of the new songs the first time that they are shared with the congregation. It is possible to find choral arrangements of new worship songs that are in congregationally friendly keys, which also have chord and rhythm charts and even full orchestrations available. These can be prepared as an anthem and introduced by the full worship team. Later, as the congregation becomes more familiar with the song, they can be invited to join in singing the worship song with the same arrangement. 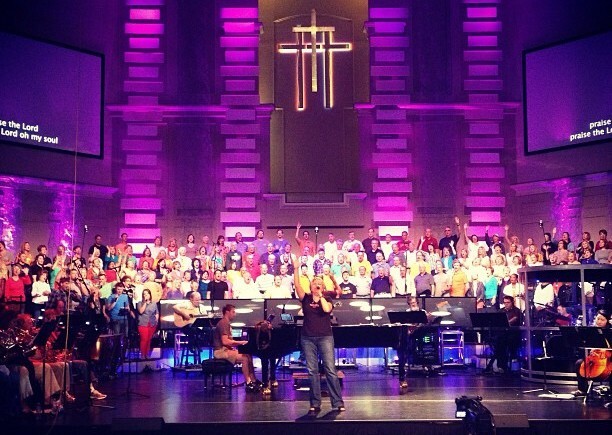 A choir can help to break down generational barriers in worship. The fact that choirs (and praise teams, rhythm sections, and orchestras) are often made up of young, median, and older adults (and sometimes students) communicates the message that the new song is a vehicle of praise and worship for the entire congregation, regardless of age. As members of the worship leadership team, choir members have invested time in preparation for worship, both musically and spiritually as they have learned the new music. 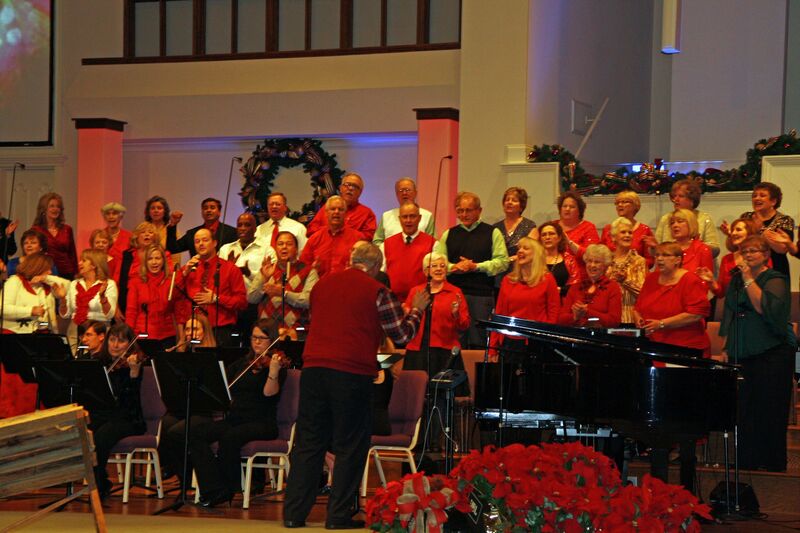 Because they have rehearsed and lived with the lyrics of the songs being shared (both Anthems and congregational praise), choir members have the opportunity to internalize these messages of truth and to communicate them meaningfully, as a group that is visually representative of the church body (in age range and other factors) rather than just as professional musicians. The Mount Pleasant Christian Church Choir in Indianapolis, IN, directed by Brian Tabor, September, 2013. A Choir is uniquely equipped to share a message with maximum sensitivity, passion, and meaning. There is nothing else like the sound of a well-prepared choir, and the secular music industry often employs a choir to maximize the impact of a powerful ballad or to visibly and audibly celebrate with an upbeat song. Choirs are often seen in the music videos and television appearances of pop stars, on music specials, and at events where the entertainment is an extravagant production, such as an Olympic opening ceremony or even a Super Bowl halftime show. If secular entertainment still values the impact that a choir can make, those of us who love and worship the Lord should realize that choral singing can be a an effective testimony of God’s goodness that can touch the hearts of a congregation (and of others who hear them when they sing in public places). Ideally, the worship leading choir will commit themselves to be both spiritually and musically prepared to praise the Lord and to encourage and inspire God’s people. Because of their heart for the Lord and the investment of time in preparation, a choir can be a living, vibrant team of worship leaders, messengers of hope and praise who minister and serve to bring glory to the Lord. In addition to the benefits of having a worship leading choir that have already been shared, there is Biblical support for choral worship ministry. Since there are many Biblical accounts of choirs, and since 55 Psalms are written to the Choir Director or Director of Music; there is certainly a Biblical precedent for choral worship. In addition, the Biblical exhortation to use our gifts to honor and bring glory to the Lord calls for opportunities for those who are a part of our congregations and who have musical gifts to serve and contribute to the ministry of worship. What these service opportunities for those with a worship ministry calling may be in an individual congregation depends upon the musical gifts that are present among members who are willing to faithfully serve in worship ministry. A smaller congregation might have a choral ensemble rather than a full choir, in addition to their praise band or accompanists. Larger churches may have a full choir and perhaps an instrumental ensemble or orchestra in addition to their rhythm section, praise band, and / or accompanists. Some churches may use a choir to help serve as worship leaders, but the choir may sing a choral anthem only occasionally. Some churches also use choirs only seasonally (a special Christmas program, for example). The First Baptist Concord Choir, Knoxville, TN, directed by Jeff Lawrence. Every congregation is different, and no one can prescribe what your church should be doing in musical worship from the outside. 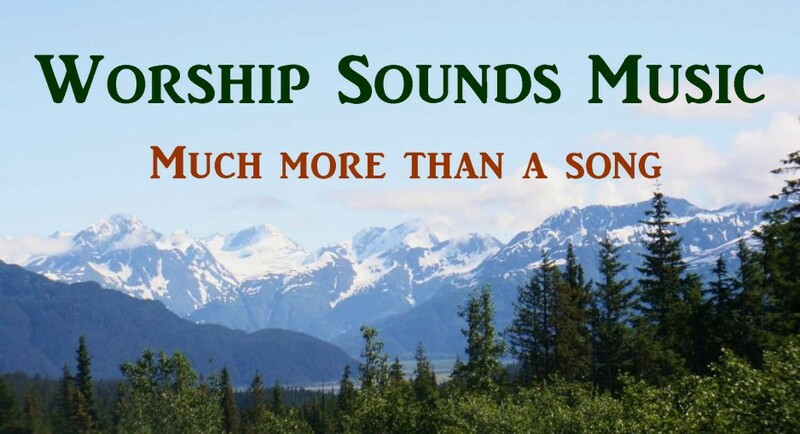 Your ministerial leadership is more in tune with the musical and spiritual gifts of your congregation and to the music that speaks to the hearts of your congregation as well as to the visitors and seekers that your church can reach. This article is not being written in order to bash churches that don’t have a choir but rather to encourage the ministry of choral singing in those places where it can be shared effectively to praise, encourage, inspire, lift up, exhort, challenge, and worship. 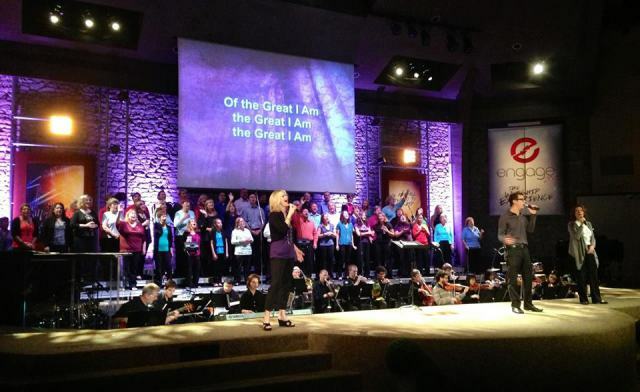 Although choirs have been eliminated in some congregations, some churches are beginning to re-examine the impact that a choir can have in a worship service. This fact creates a challenge for those who believe strongly that choral singing can be a valid, effective, and exciting part of worship ministry. Existing choirs can strengthen their ministry. New choirs can focus on effective ministry from the beginning. First Baptist Church of Duluth Adult Choir, December, 2013, directed by Travis L. Boyd, singing the upbeat final song in the Travis Cottrell Christmas worship musical, “Joy of Every Longing Heart”. Blessings to you as you seek to strengthen the ministry of worship at your church in whatever direction the Lord leads. Thank you for spending your valuable time reading the contents of this page. We hope that it has been helpful to you. If you or someone that you know is looking for answers about life, we hope that you will visit our page called “Do You Know Jesus?”. The links provided on this page will help you find answers to life’s deepest questions.